QUEST, 4 Half's - WARRIOR, 4 Full's - HERO, 105Mile Ultra. 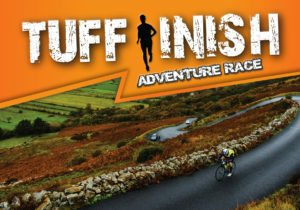 An Extreme North Adventure starts as soon as you register and finishes with lasting memories of both event and location. We have 100’s of miles of major scenic landscapes on Irelands Wild Atlantic Way on the edge of Europe so every mile and every day is different, no loops, no repeat courses, every mile is a new experience, new challenge. Extreme North event package has it all and gives more, amazing medals & trophies, quality merchandise, true Donegal friendship, hospitality and catering. Our event settings create an environment for real camaraderie and banter resulting in new friendships and fond memories to add to the fantastic medals on your journey home. Delivering – Our promise of support, hospitality and a FULL package that well rewards your efforts. Variety – All our events are designed to equally challenge the Novice keep-fit and Elite athlete. Traditional – Values, offer value for money, true hospitality and a sincere welcome to everyone. There is no shortcut to anyplace worth going? but we may be closer than you think. Inishowen, Irelands most northerly and absolutely beautiful peninsula, shares its borders with Northern Ireland, allowing quick / easy access through N. Ireland. We are only 30 mins from Derry, 2 hours from Belfast and 3 hours from Dublin. For our foreign visitors, Belfast airports are less than a 2hr journey and City of Derry Airport only 40 mins away. Our Inishowen peninsula is the most northerly aspect of the now world renowned Wild Atlantic Way, the world’s longest Coastal Scenic Route comprising of stunning natural landscapes and coastal roads. This stunning, ever changing terrain provides the perfect balance of endurance and captivation for all participants. We at Extreme North simply add the trimmings in the form of race support and hospitality to make our events world class in a friendly traditional environment.